Hello high-income earning friends! It’s been a few years since I’ve written about my income from a holistic point of view. So for the sake of transparency I thought I would give everyone an update on my income situation. My salary is currently closer to $60,000 than it is to $50,000. I won’t disclose the exact figure because I work with people who read this blog. As for my side incomes, they have gone up as well. 🙂 I’m leaving out rental income below because I use the rent to pay my farmland mortgage so it’s basically a wash. Gross side incomes per year. It’s rare for graphic designers such as myself to ever earn a six figure salary. What this means is that I have to implement a different strategy for FI/RE than someone else who’s a doctor or engineer. To make up for a lower salary, I boost my earnings by moonlighting, and also by increasing my investment returns by taking on more calculated risks. The extra income streams essentially increase my income by $31,000 a year right now and should continue to grow over time. They should also make the eventual transition to retirement easier. And by using leverage to invest in growing companies and other profitable assets like farmland and high yield bonds, my total portfolio has continuously brought high returns since 2009. This method of choosing individual investments is admittedly more risky than the passive, Boglehead market indexing strategy. But I’ve also been compensated with higher returns, at least so far. I can’t say this plan is guaranteed to work for everyone or that it’s sustainable long term. But I started investing in my early 20s. Today I’m almost 30 years old, and my passive income is about $1500 per month, while my expenses are about $3000. So it’s working out for me. The only issue is I don’t know how my leveraged portfolio will perform in a bear market or recession, which hasn’t been tested yet. I believe in the next 12 to 24 months it’s very likely that I will be making $100,000 per year including all my income sources. Wow. Never in my wildest childhood dreams did I expect to earn so much. I know six figures isn’t what it used to be but it still feels like a huge amount of money to me. Many other high income earners claim that they don’t feel $90K or $100K is a lot of money. I don’t know if they’re just being modest, but I certainly do feel much more privileged and happier now than many years ago when I earned only $40K. I used to believe that you have to be smart to make a lot of money. But apparently I’m living proof that someone with an average intellect can do so as well. I modelled my financial plan based on the brilliant minds that have already figured out the formula for success. All of my investment ideas and strategies can be boiled down to one simple philosophy; Do what other successful people do. 🙂 That’s it! North Americans pay a lot of money for high speed internet access. One way to get around this costly expense is to own the means that produce the service. This means buying shares of the internet service providers that we use. Telecommunication companies are usually very generous to their shareholders as many pay out up to 40% of annual profits to their owners. Over time this gives one the opportunity to have a reoccurring internet bill pay for itself. Step 1: Figure out your current internet service fee. Step 2: Save an equal amount of money earmarked to buy shares of your internet provider. Step 3: Continue buying shares every year for 20 years. Example: If we currently pay $50 a month for one of Bell’s internet plans, we can simply set aside another $50 a month to buy Bell stocks (BCE) on the TSX. This gives us $600 a year to invest in BCE. To save on trading fees we can buy the shares once a year, not every month. 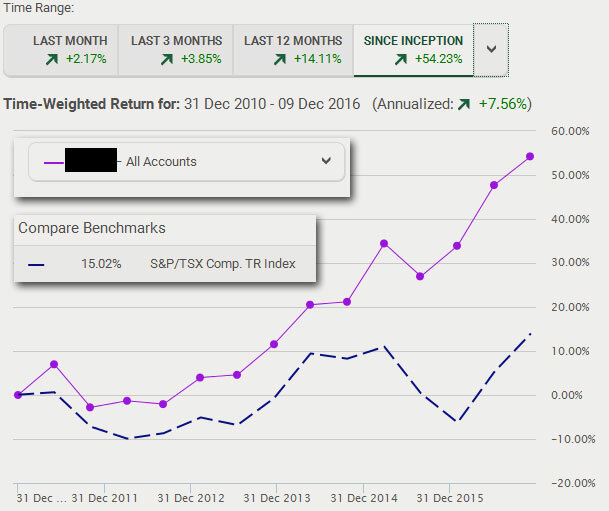 The average price of BCE last year was around $50 so every year our $600 savings can buy us 12 shares of BCE. After 20 years we’ll have 240 shares total. Bell currently pays its shareholders $2.6 per share every year. With 240 shares, we would get $624, or about $600 after tax, with the dividend tax credit, for most people.